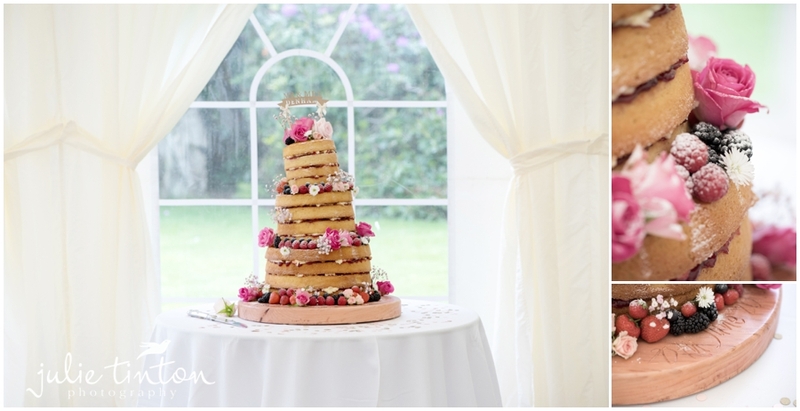 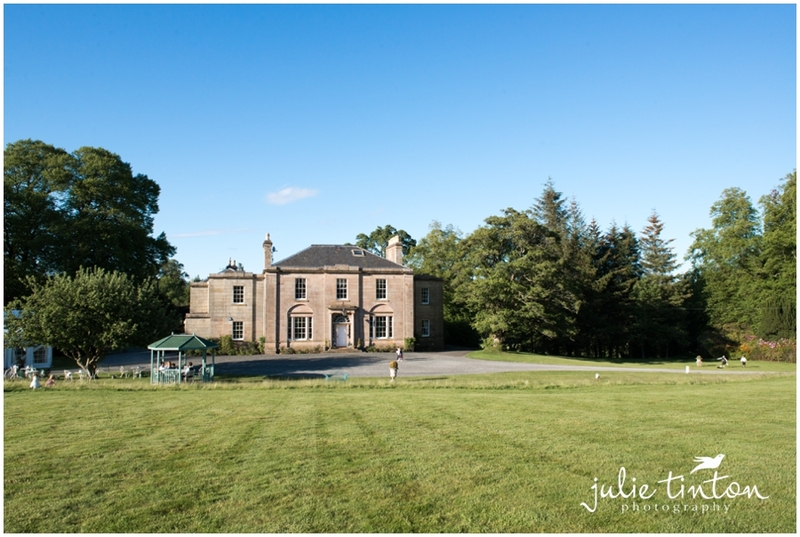 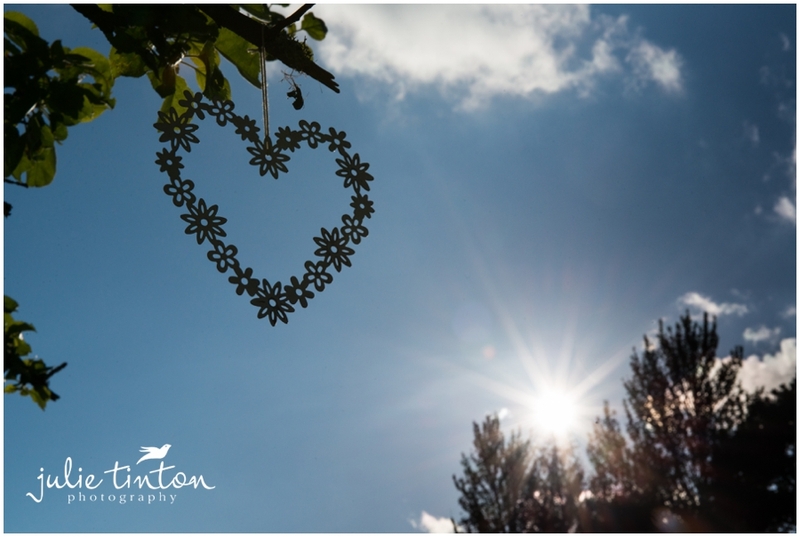 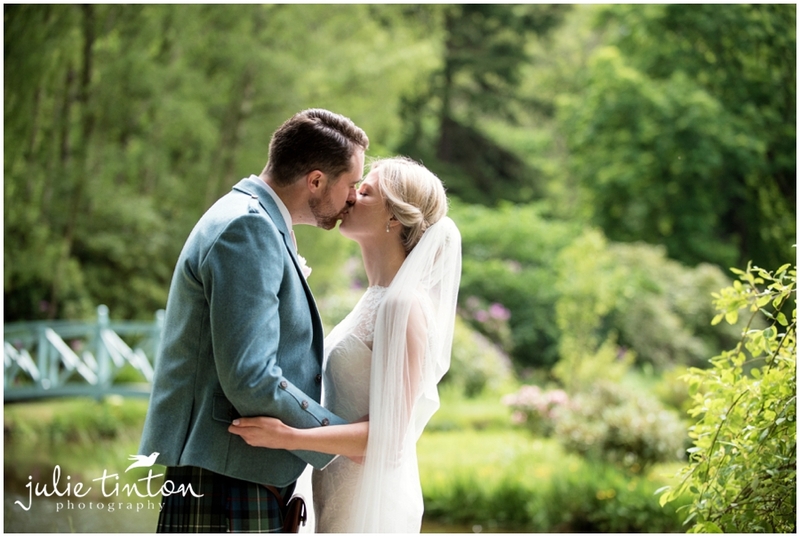 It was lovely to be invited back to Glencorse House to photograph Becky and Craig’s beautiful Glencorse House Wedding! 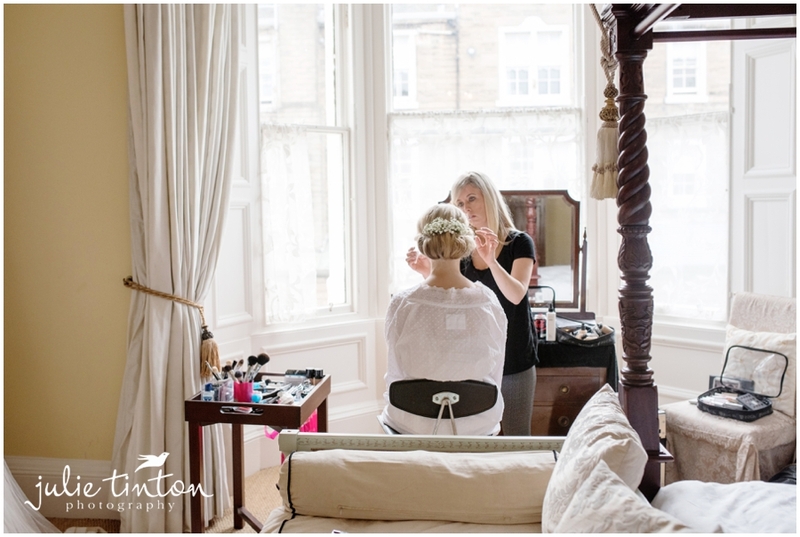 I met up with beautiful bride Becky at her bridal prep location in Edinburgh The girls were all in the final throws of their wedding prep by talented make up artist Sarah Baldwin, they all looked simply stunning. 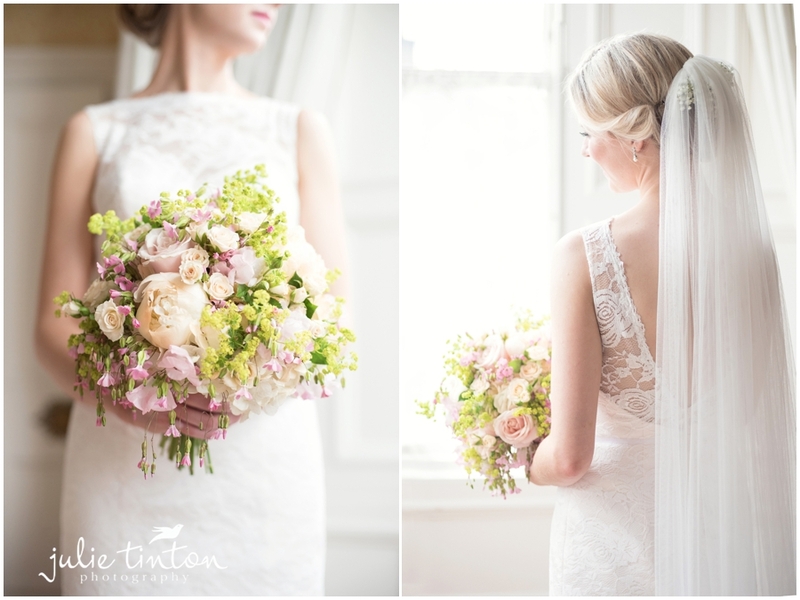 I got to work photographing all of Becky’s pretty details and gorgeous flowers. 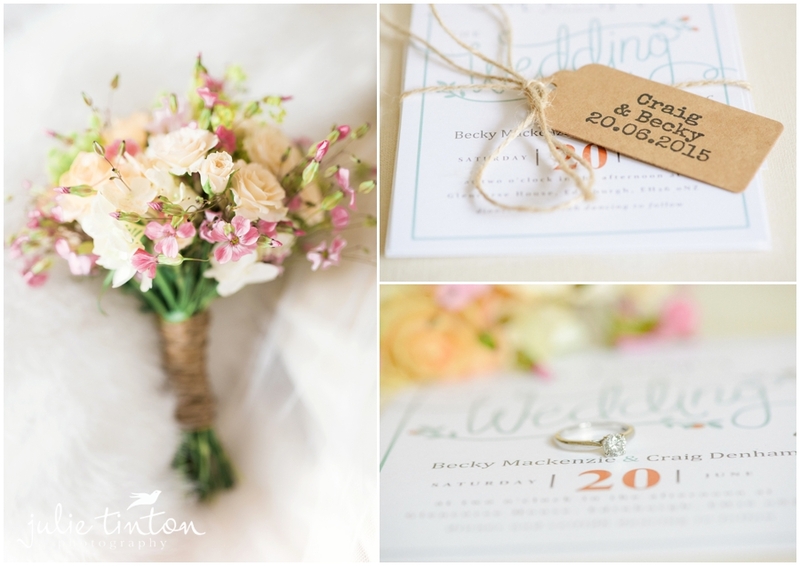 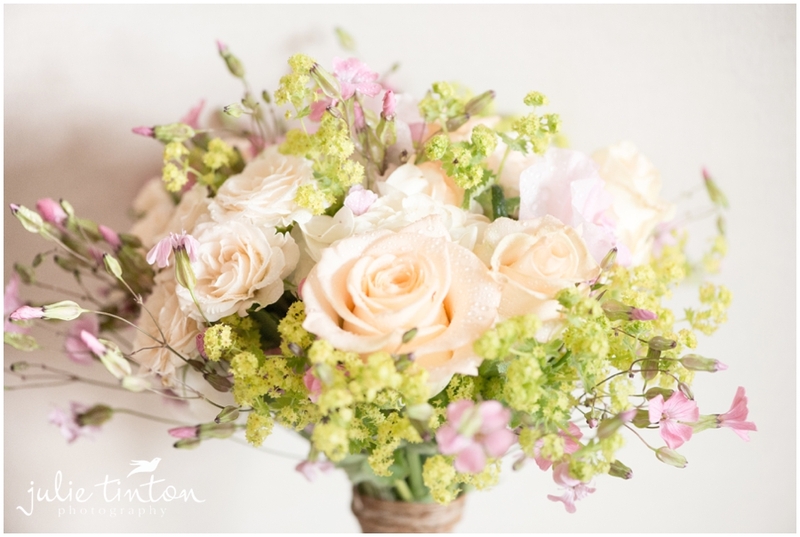 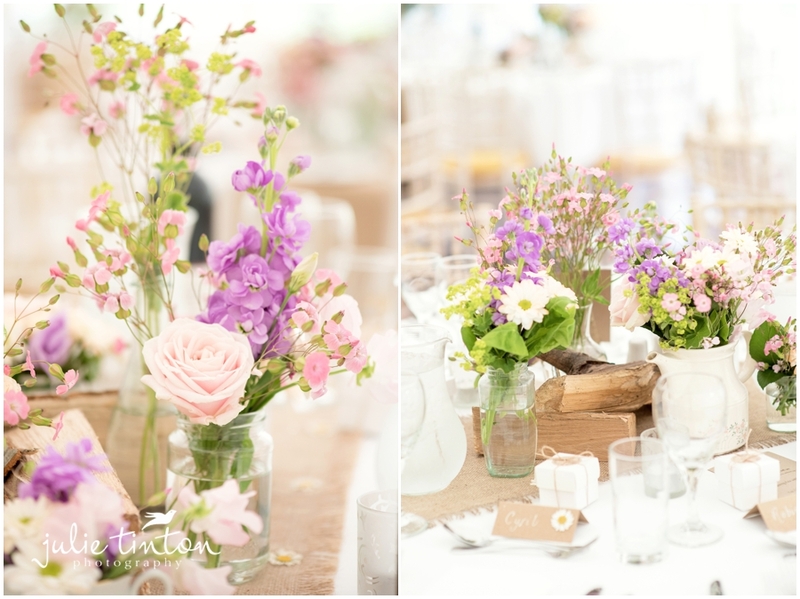 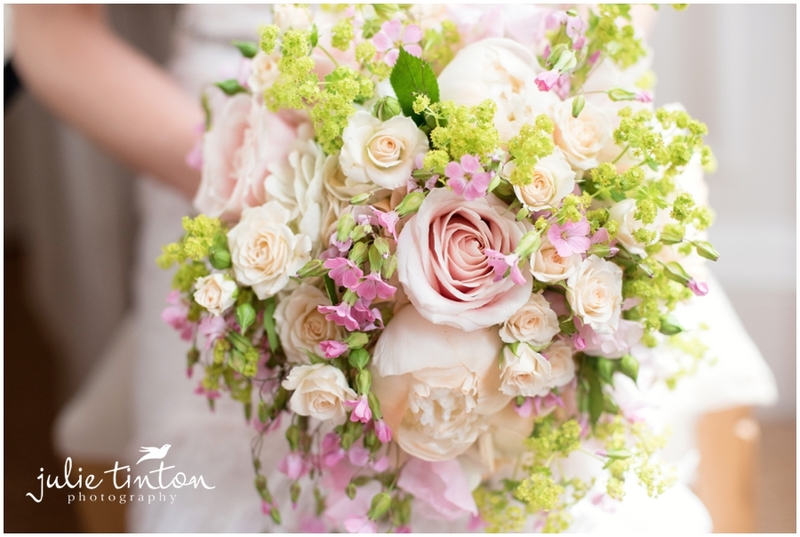 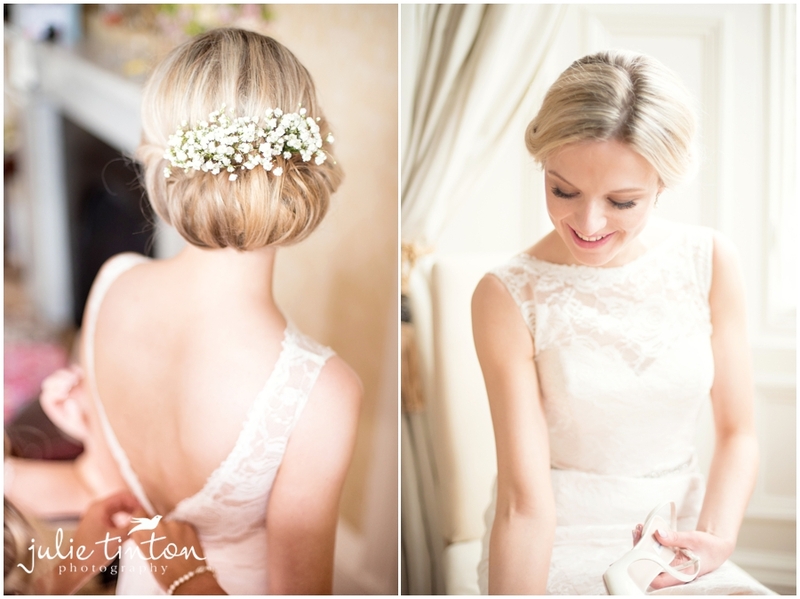 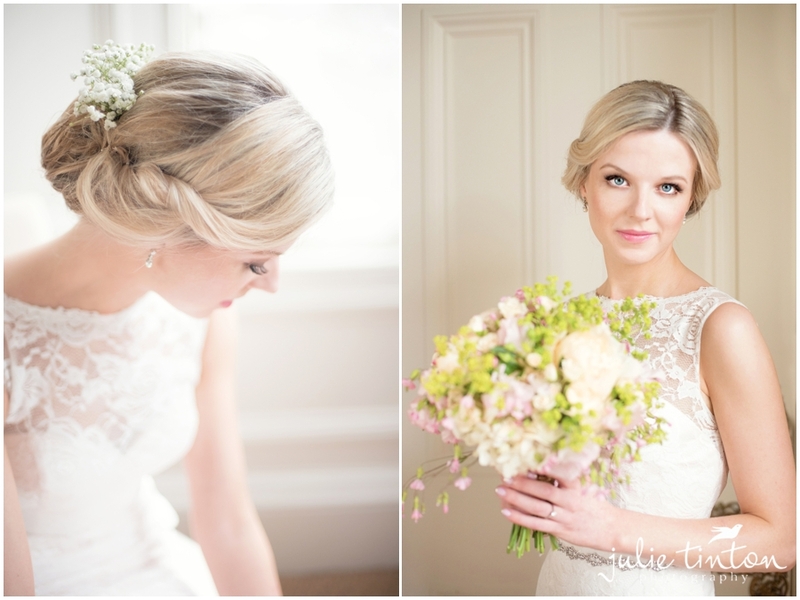 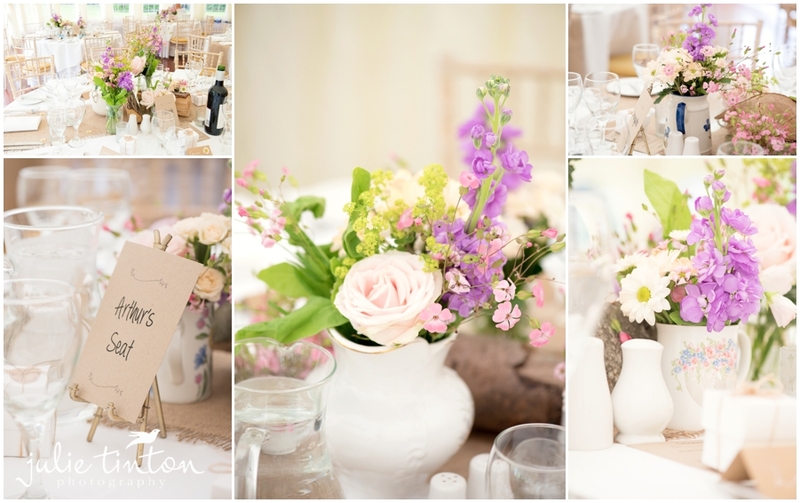 I loved the soft, muted pastels Becky had chosen to style her wedding. 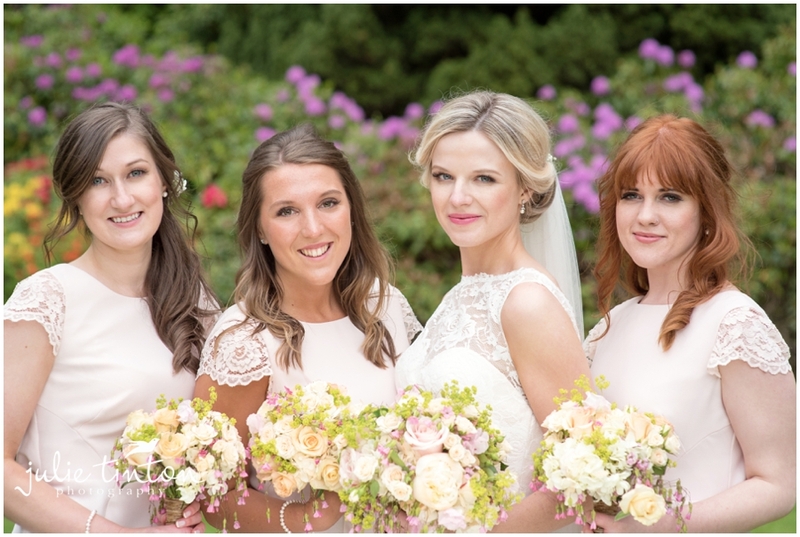 I get a little giddy when the light is as pretty as it was at Becky’s bridal prep, it was just perfect to compliment Becky’s fine art bridal portraits! 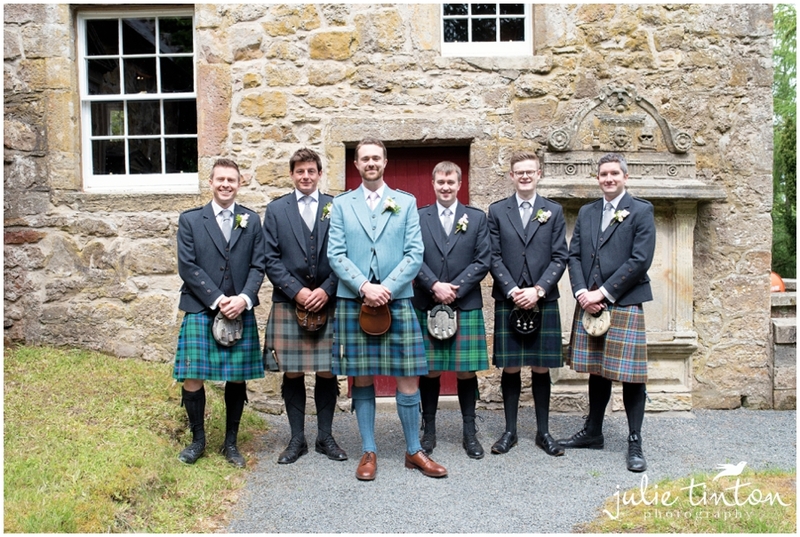 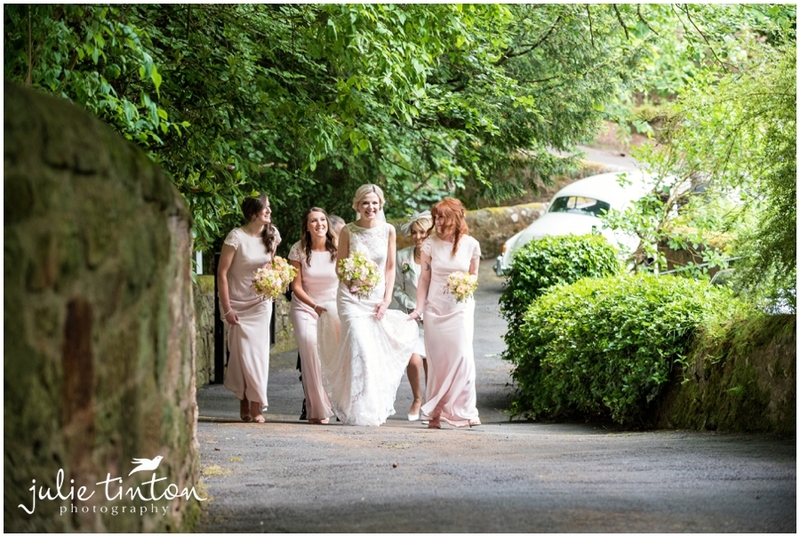 The boys were photographed outside the Kirk by Fiona and after some informal portraits they greeted their guests while Becky made her way to the ceremony accompanied by her ‘maids’ and her proud Dad! 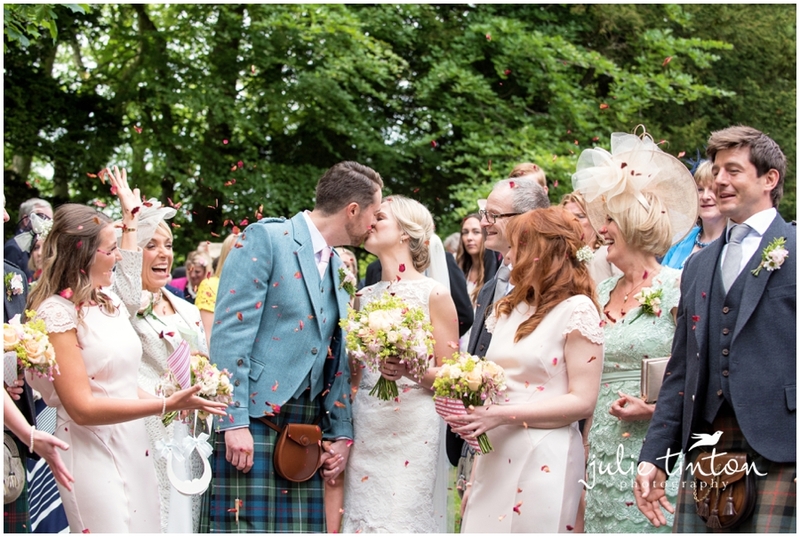 A romantic and touching ceremony with close friends and family and afterwards the happy couple walked out to a spectacular confetti tunnel. 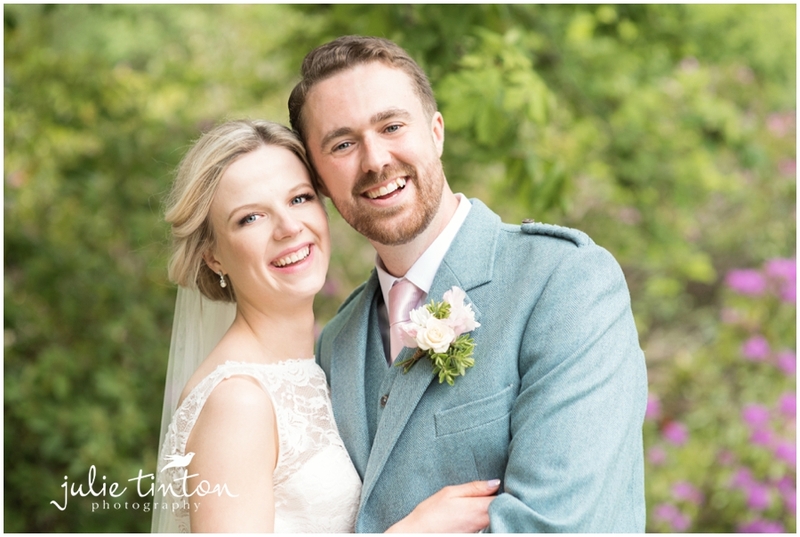 Afterwards, I took Becky and Craig down to the lake for their couple portraits. 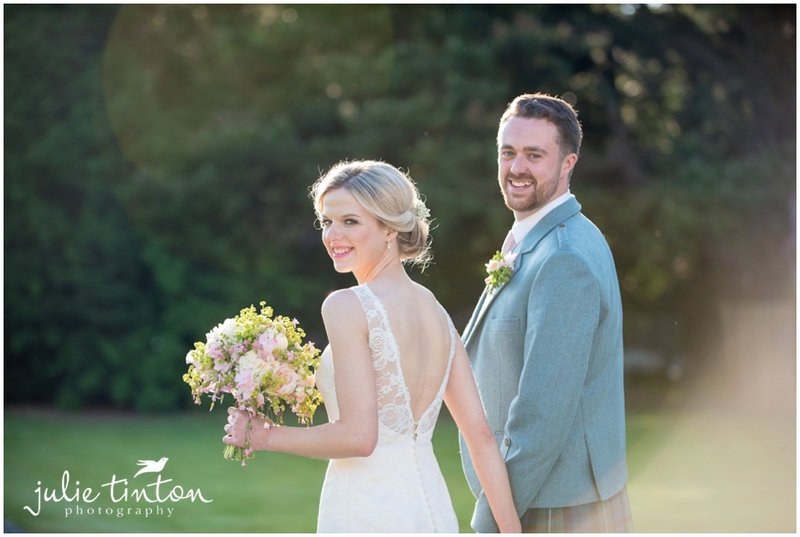 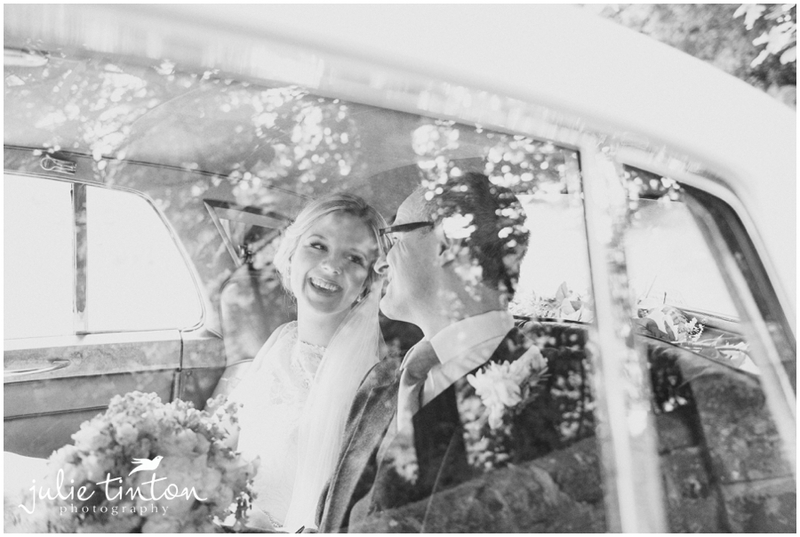 I don’t ever take you away from your guests for too long, just enough time to capture some lovely photographs together with some gentle direction and then back to their guests who were busy enjoying a champagne reception on the lawn outside the House. 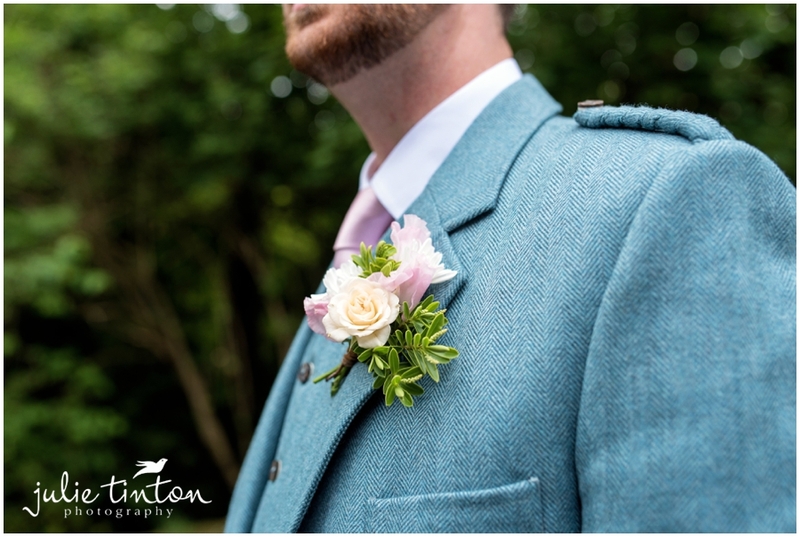 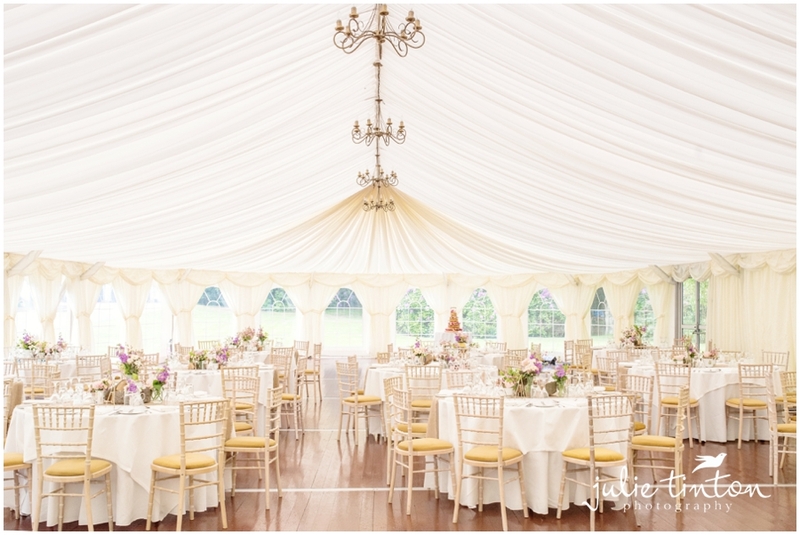 The marquee was styled to perfection by Roseparks, I adored those pretty pastels and soft creams and tables all named after iconic locations in and around Edinburgh close to Becky and Craig. 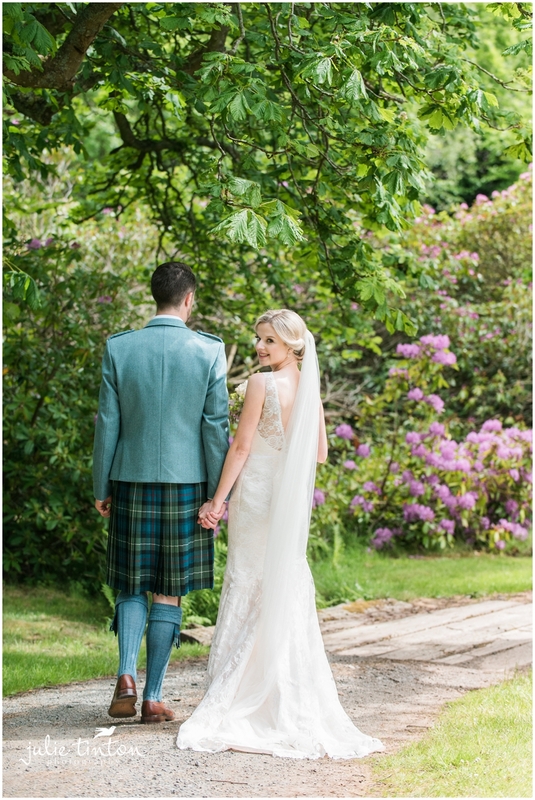 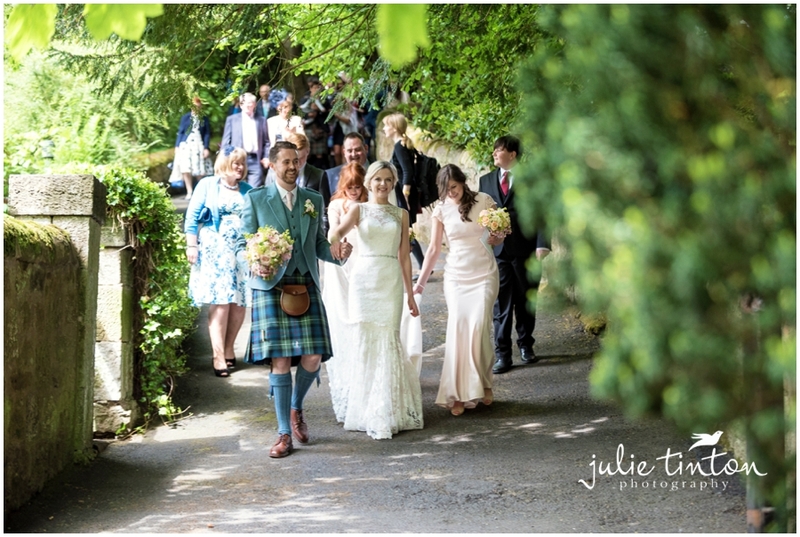 We had fabulous weather and Becky you looked simply stunning in your ‘Etienne’ dress by Charlotte Babier. 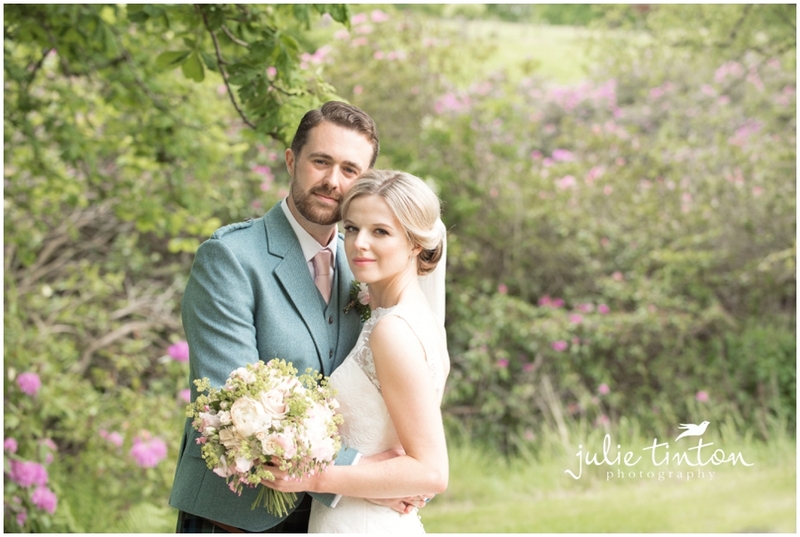 It was amazing to work with you both we had such a lovely day! 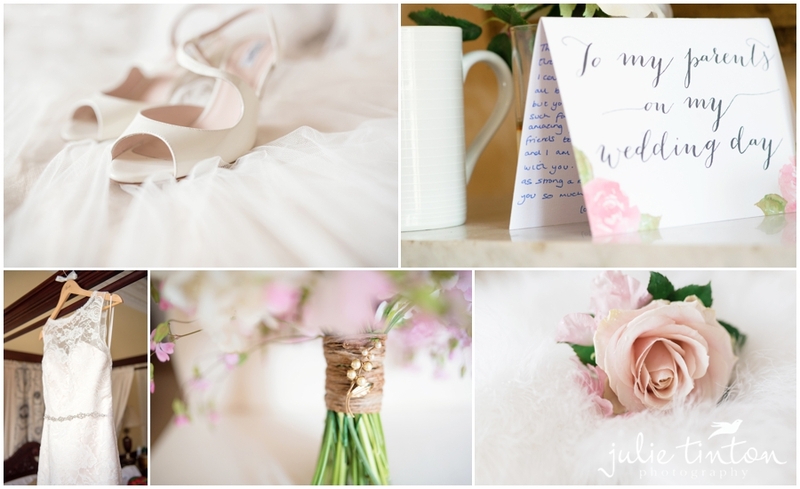 Here’s a few of our favourites!